Saoirse Ronan is a name that is not only hard for most people to pronounce on sight, but also one that they might not be able to pair with a face until being reminded of her roles. And there would be a lot of those to choose from, as Ronan is no Hollywood newcomer, but a mainstay since the age of thirteen. She appeared as young Briony in Atonement, in YA stories City of Ember & The Lovely Bones, in the UK version of The Secret World of Arrietty, The Way Back, Hanna, Violet & Daisy, The Host, How I Live Now, The Grand Budapest Hotel, Lost River, and now Brooklyn. She is a mega-talent at an early age, a 21-year-old who is a consummate professional, and an actress who has just produced the best work of her career. 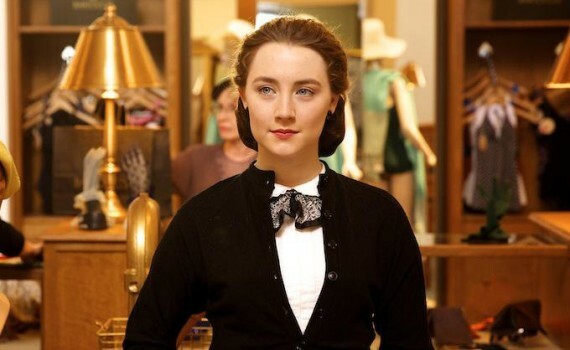 Brooklyn is the story of a time & place that uses a character to define the era. 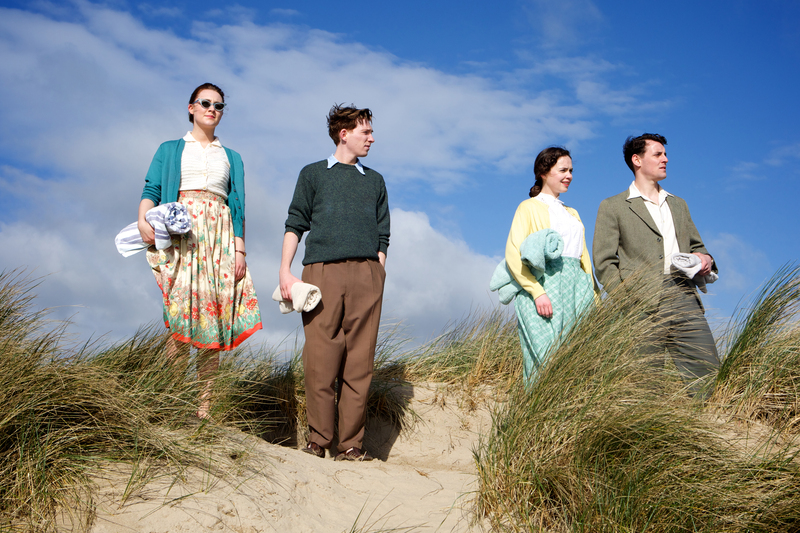 Eilis is a young Irish girl without a future who has decided to move to America. The dating & working prospects of her native land don’t attract her, and she wants more out of her life than the typical, meaningless existence of a poor Irish woman. So she travels to New York City, settles in Brooklyn among a large Irish population, and begins work & school, hoping to advance herself in whatever way she can. But Eilis didn’t count on falling in love, didn’t count on sweet Tony, an Italian plumber who would steal her heart. Now, torn between two worlds, she must decide to continue the frightening adventure that is America or return to the easy choice of her homeland and the acceptable roles that wait her there. Ronan is incredible as Eilis, finally given a role that not only suits her perfectly but might suit her better than any other actress in the business. Ronan is New York born of Irish parents, and spent many years of her childhood in Ireland. When allowed to speak with the accent, she shines in ways that aren’t always possible in the other roles she has been cast into. And when asked to play a lovely, trepidacious Irish girl seeing the world for the first time, she turned on every ounce of talent she possesses and blows us all away. She was strong but frightened, classic but stood out, creating a character that you instantly fall in love with and root for throughout the film. The movie itself is a bit easy, very beautiful, but not a challenging watch. It flows smoothly, never becomes the angsty love triangle it could have been, but somehow doesn’t use that fact to its credit. The realism and under-drama make the film less impressive than it could have been perhaps, but do aid in the concept that Eilis is a metaphor for all immigrants, especially of this time, torn between the home they love and the possibility of realizing new dreams. Brooklyn might be considered for Academy Awards based solely off its attractive delivery and solid mood, but it isn’t the artistic masterpiece of others it will compete against, and so will perhaps fall just short of glory.